Absorbing wave energy without damage to the structure is the challenge. 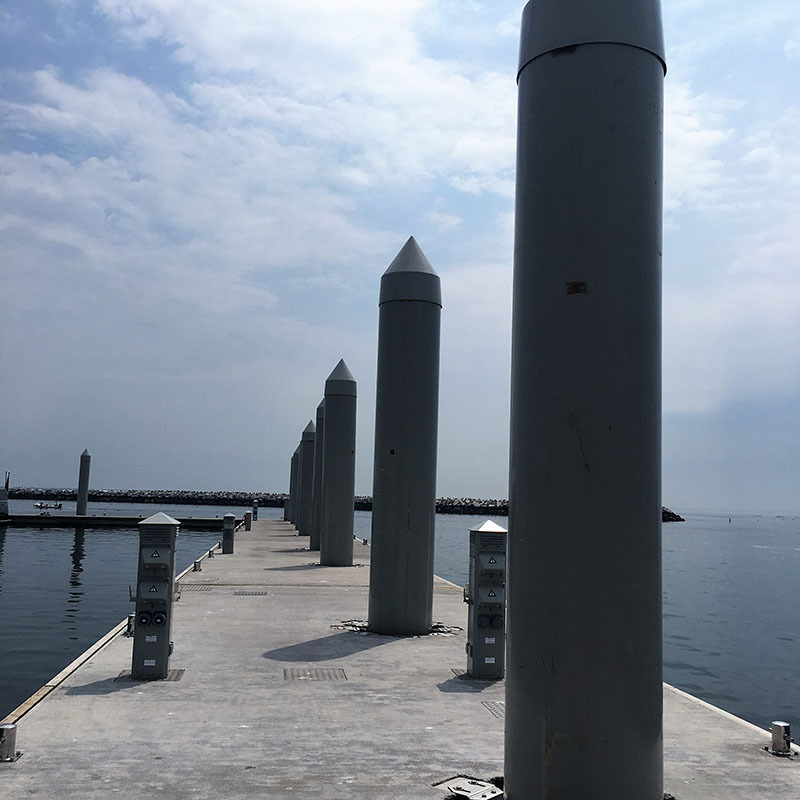 Based on storm-proven technology in the design of pontoons and connectors, all installations need to be customized to suit currents, tides, wave exposure and a number of other site-specific conditions. What sets SF Marina apart is that above and beyond these conditions, each project we build is designed with a survival mode. SF Marina is still there, after the storm. When water level variations are big, one may want secure the floating pontoons using piles driven into the seabed. This allows the pontoons to rise and sink with the water level. The floating breakwaters or pontoons are in these cases secured in place by either external or internal pile guides. 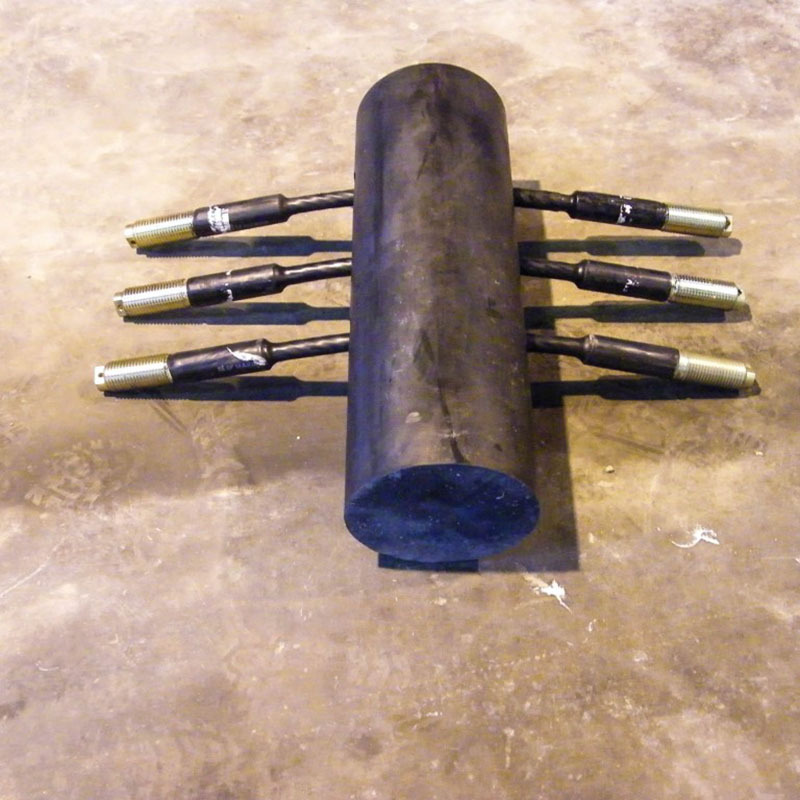 Designing suitable pile guides for each project is naturally of upmost importance. SF Marina can now offer new technique that has been developed for anchoring in difficult conditions such as remote locations or in deep waters (up to 50 meters). Anchoring of floating pontoons and breakwaters is the technique of ensuring that an anchored breakwater or concrete pontoon remains in the desired place independent of what forces are acting upon it. This is achieved by ensuring that forces acting upon the pontoon are distributed in such a way that the pontoon remains undamaged even in the vilest of conditions. Anchoring may also be carried out by driving piles into the seabed. The floating breakwaters or pontoons are in these cases secured in place by either external or internal pile guides. 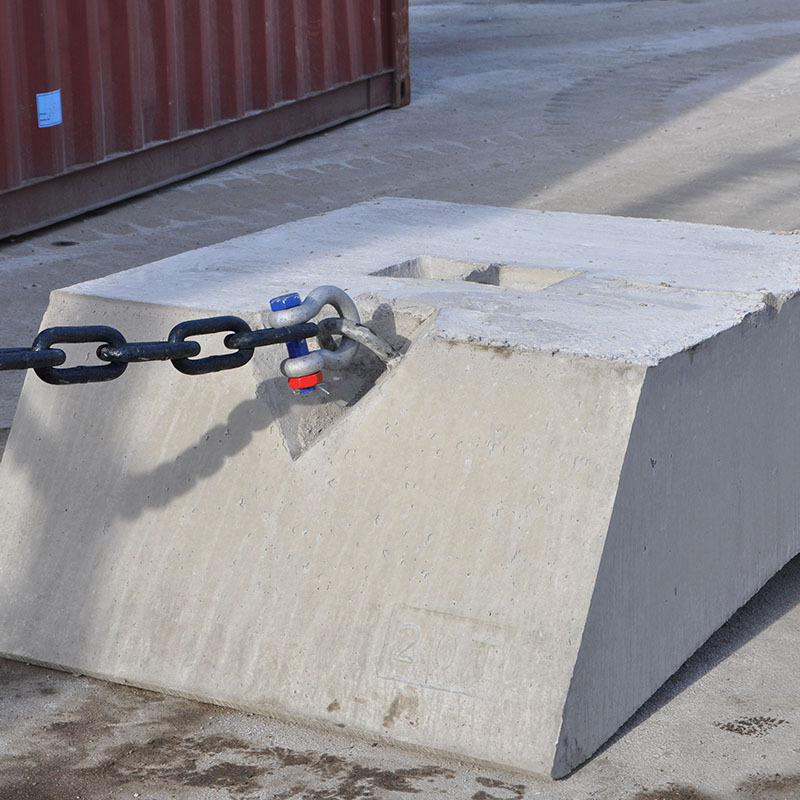 Anchoring may also be carried out by using screw anchors which are screwed into the seabed resulting in exceptionally strong fastening points to where chain, rope or Seaflex cables can be attached. In all cases anchoring must be designed for the forces foreseen. Designing a proper anchoring solution for each location is of upmost importance. SF Marina uses commercially available calculation methods as reference but will without exception adapt hard earned experience from thousands of finalized projects before committing to an anchoring design. In all cases, anchoring must be designed for the forces foreseen. Designing a proper anchoring solution for each location is of upmost importance. SF Marina uses commercially available calculation methods as reference, but will without exception adapt hard earned experience from thousands of finalized projects before committing to an anchoring design. Seabed securement, chain, rope, Seaflex and the fastening points in the pontoon need all be designed for force distribution. 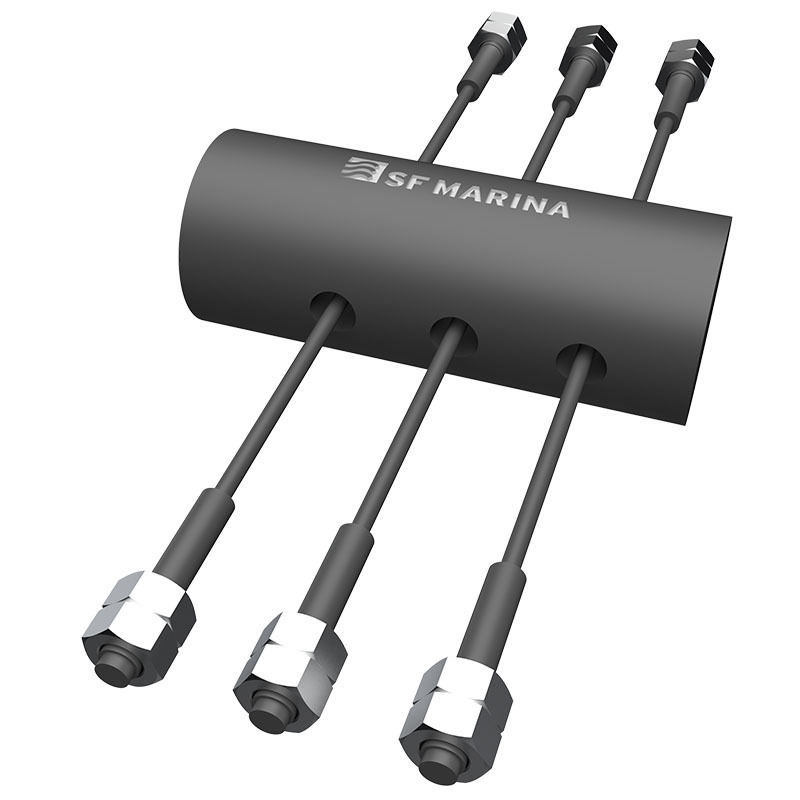 SF Marina connectors are state-of-the-art concrete pontoon connectors especially designed for connecting the world’s strongest concrete pontoons and they are delivering this in thousands of locations around the world every day. Connecting two or more concrete floats is a complex task with complexity growing almost exponentially with increasing loads. 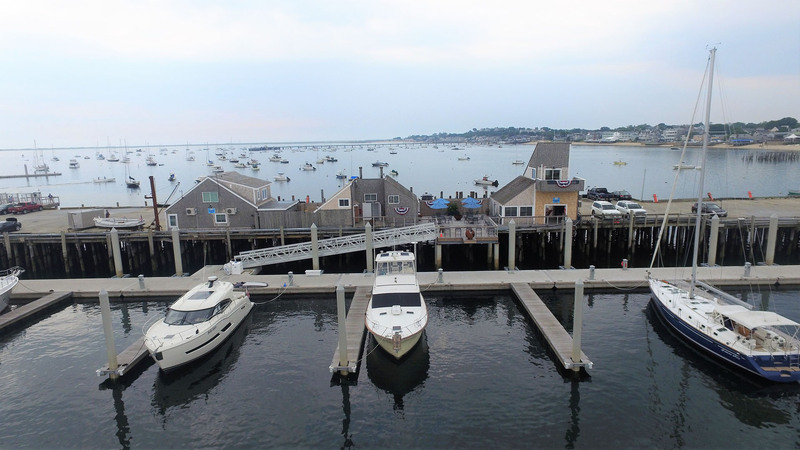 Heavier pontoons, larger waves, bigger boats and higher wind speeds all increase the loads on the connections between the pontoons. 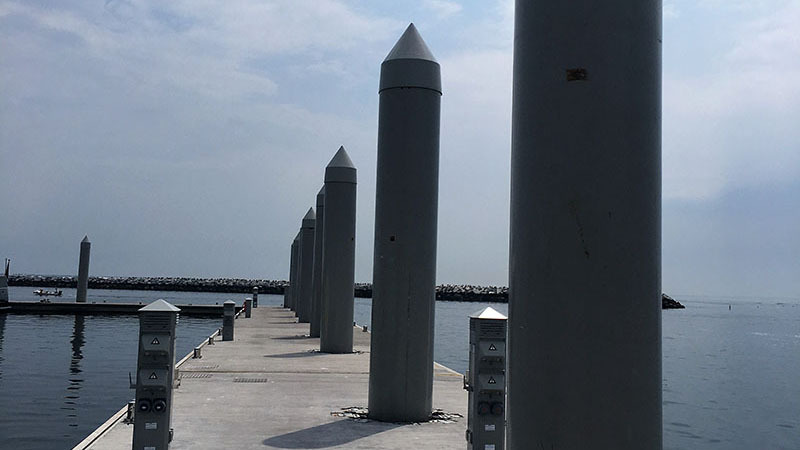 The SF Marina connector range is an integral part of the SF Marina system as they allow for long piers to be built in separate units that can be connected without compromising the structural integrity of the pier. 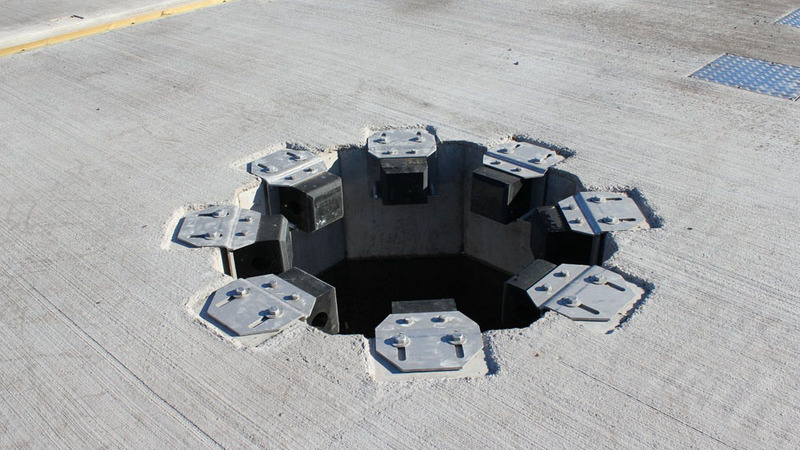 Each connector is designed to be strong enough to rein the concrete pontoons or floating breakwaters in lateral direction whilst giving structural relief to the same bodies by allowing for horizontal movement, thereby operating like giant hinges. With a long pier and long waves, the strong restriction to horizontal movement when using normal connectors, requires relief of torsional tension. In the SF Marina connector range the solution to this challenge is to introduce the centre connector. This is normally used every three units in a longer pier structure. Over the years many designs parameters have been embodied in our present connector range design; ease of fitting, ease of replacement, maintenance schedule, spare part minimization to mention a few. Between the stainless half circle housings of two adjoining pontoons/ breakwaters, a horizontal rubber cylinder is placed. The rubber absorbs shocks and keeps the bodies away from each other during heavy loads. From one connector box, on through the rubber cylinder and into the connector box on the next pontoon wires are led and securely fastened with two nuts on each end. Today each wire used in our connector range has corrosion- preventive grease encapsulated inside a shrink rubber housing, prolonging lifetime significantly compared to unprotected wires. After expected lifetime each wire can be replaced one at a time without any need to disconnect the pontoons.